Rebirth Of The Nile is the first collection launched by Alexandrian athleisure brand OHANNA. Ancient Egyptian culture has always been a source of intrigue and inspiration in pop culture, film, art, and of course fashion design. The heritage and details imbedded in this era, have been appropriated and re-imagined many a times by various entities. OHANNA, founded in Alexandria Egypt, chose to use the city’s rich culture in the most subtle of ways. It’s constructed and deconstructed silk and satin pieces are a tribute to the contemporary pharaonic descendants, incorporating ancient Egyptian designs found in temple wall art by transforming them into subtle and refined patterns and motifs embedded in the clothing. The customized linings combine patterns and elements of powerful Egyptian queens like Isis, Cleopatra, and Hatshepsut, allowing the wearer to feel engulfed by heritage but not overwhelmed by it. Shot in Alexandria, one of the world’s biggest ports founded by the Pharaohs in 1900 B.C, this captivating editorial reflects on OHANNA’s origins and pays tributes to the strong pharaonic civilization rebuilt. 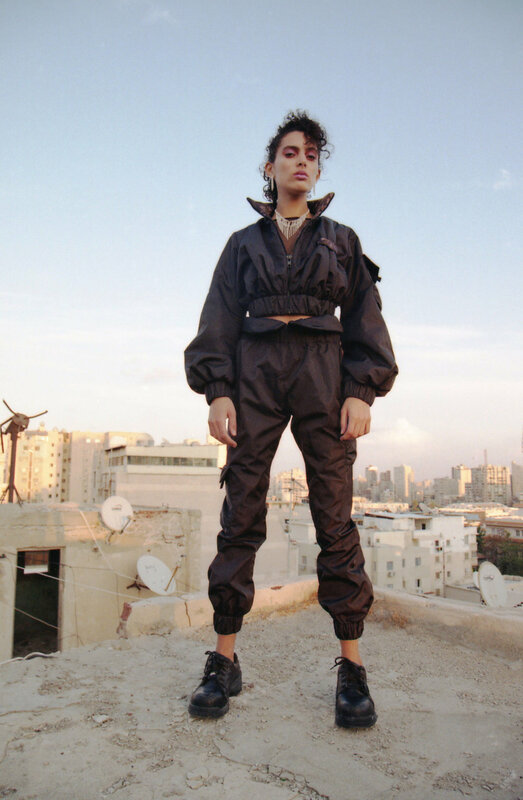 Featuring London-based model Helene Selam, who was featured in campaigns with the likes of Dior, Adidas, and Calvin Klein, and shot by Malak El Sawi the images exude a sense of dominance and regality. A bio is meant to appear here. Under Construction, for now. Founder of Radical.